Home / Nak*d Photo / news / shatta michy / Social Media / [Photo]: Did Shatta Michy Just Shared A Nak*d Photo On Social Media? 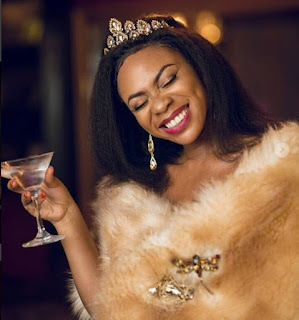 [Photo]: Did Shatta Michy Just Shared A Nak*d Photo On Social Media? Shatta Michy, baby mama of 3Music Award’s reigning Male Artiste of the Year, Shatta Wale in a rather surprising move seems to have just shared a picture that totally shows almost all the parts of her body except her toto which is slightly covered with a ‘small’ pantie. Even though the photo Dawuroo.com sighted on Michy’s Instastory is a little blurred, anybody who has eyes we have will see that her melons are left hanging in the selfie she took in front the mirror from her hideout with her son, Majesty. This will certainly be the first time the ‘Low Tempo’ singer has decided to take a Moesha Buduong or Princess Shyngle kind of move. This is in the sense of deciding to post a picture of this manner on social media as such a thing has never been sighted on any of her social media handles.